Mansfield’s live performance is a must see and hear for blues, rock and harmonica players worldwide. Darrell excels in every genre from delta blues to hard rock and southern rock, and has been a forerunner in gospel blues and rock for more than three decades. Some of the most inspiring people that Darrell Mansfield has met in his career are Paul McCartney, Les Paul, B.B. King, Big Joe Turner, Richie Sambora, Paul Dean and Jon Bon Jovi. Mansfield was a close friend of Seth Lover, inventor of the Humbucking Pickup, who taught him about electronics, amplifiers and microphones. Darrell Mansfield has toured and performed on multiple occasions with Arthur Blessit, Andre Crouch and Larry Norman. Mansfield’s powerful music was forged in him through personal ordeal, prevailing FAITH in God and a deep desire to communicate HOPE and LOVE to people around the world through the impact of his music. Darrell Mansfield is one of the major pioneers of the Jesus Movement of the ‘70’s that birthed contemporary Christian music, Calvary Chapel, and many similar evangelistic ministries and movements. He was ordained April 8, 1988 by Pastor Chuck Smith and the board of Calvary Chapel Costa Mesa. Mansfield was brought on staff to run Asaph records and launch Calvary Chapel’s record label, Calvary Chapel Music. He also performed at several Harvest Crusades and many TBN and EO (European) television specials. He continues to evangelize the world through Christian music festivals, crusades, missions trips, outreaches, CD distribution, television and radio. He has special empathy for those suffering with mental illness, and has fought his own personal battles to overcome depression. He has been a spokesperson for Christians with mental illness, urging them and churches to treat mental illness as a medical problem. 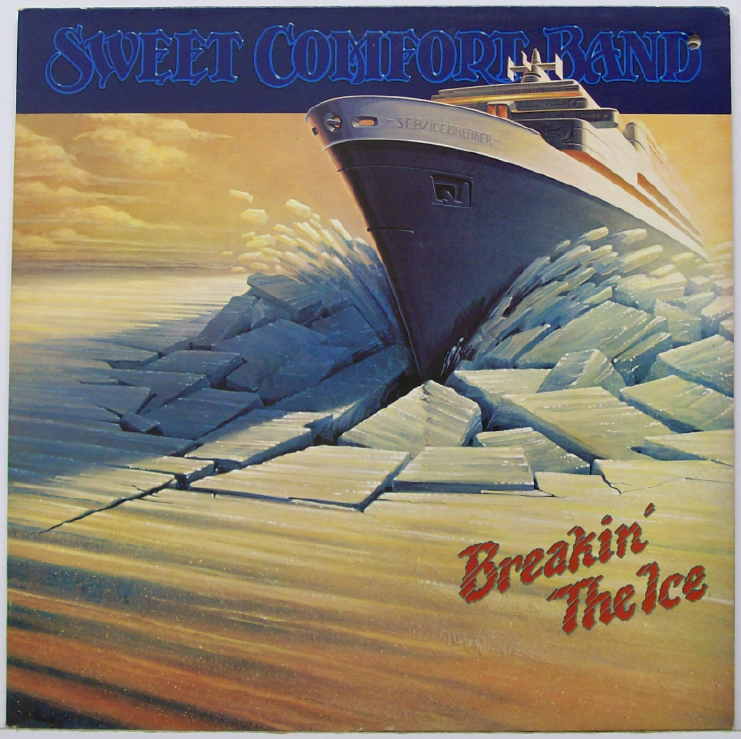 Sweet Comfort Band was one of the most original and influential Christian rock bands of the 70’s and 80’s. From their home base in Riverside, the four man group was formed during the Southern California Jesus Movement. As musical missionaries, they toured extensively until 1984. Their style defies easy description, since Sweet Comfort Band compositions are known for an eclectic mixture of rock, funk, soul, and jazz. Rather than limit their appeal, this musical diversity has won them legions of loyal fans. Lead singer and keyboardist Bryan Duncan continued to employ his signature voice over an impressive solo career, releasing 22 projects in the last 30 years. He has had 17 #1 singles to date, selling over 1 million records. His extensive list of accolades includes multiple Gospel Music Association Dove awards, six nominations for vocalist of the year in Contemporary Christian Music, Inspirational Album of the Year, and a prestigious Lifetime Achievement Award. Bryan has stayed in close touch with his broad fan base by working the social media. Well- known for his autobiographical lyrics, he has applied his amazing talent for crafting words into the authorship of three recent Bryan Duncan books. With the four original members, Sweet Comfort briefly reunited in the summer of 2001, to play a few select Christian festivals for fortunate fans that had not seen the band for 17 years! Fans who came to hear live renditions of their favorite radio hits would later claim that the concert performances exceeded their expectations. The band still had it. But this brief reunion proved to be the last glimpse of ‘Sweet C’ with Kevin on bass. Five years later Kevin suffered a serious spinal injury that left him paralyzed. In 2009 Sweet Comfort Band reformed. New songs were being created at Rick’s Shelter Sound Studios in Riverside California. There was new energy and a sense of rebirth. Then Kevin Thomson, worn down from his years of being paralyzed, passed away on May 30, 2010. One of Kevin’s last wishes was that his sons perform with SCB. On June 16th 2010, Sweet Comfort Band played in memory of Kevin at Calvary Chapel in Costa Mesa, California. Bryan, Rick, Randy and keyboardist Rob Rinderer were joined by Joshua Thomson on guitar and Elijah Thomson on bass. Stunned by the loss of Kevin, the three surviving members of Sweet Comfort took comfort from the promise of eternal life that Jesus offers to those who trust in Him. They knew that their reunion needed to be on a level of excellence that would honor Kevin’s life. Returning to writing and creating new music, some songs from the early sessions began to be jettisoned in favor of even more material as the band continued to write and record. By the summer of 2012, the band felt they were creating something beyond even the best music of their heyday. The project, spanning four years, was taking on the feel of an epic accomplishment. The band is confident that there is much yet to say. 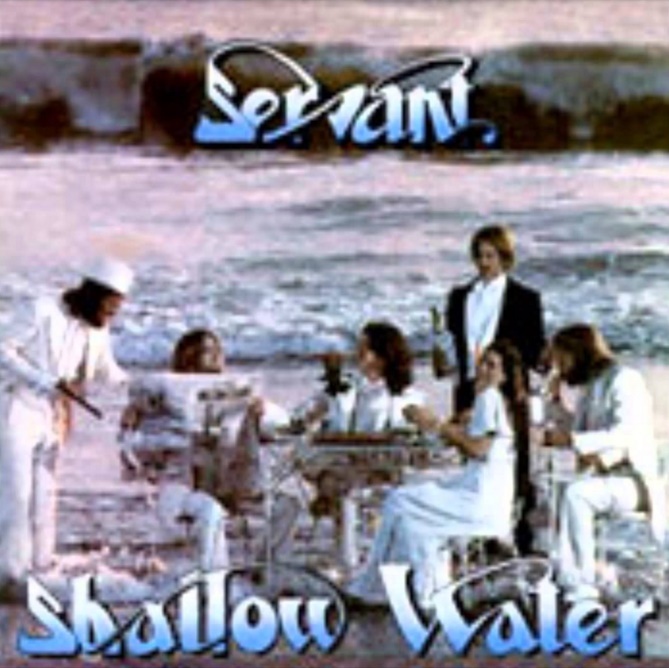 Servant toured rigorously between 1976 and 1990 and recorded six records in all. Originally based out of Oregon, Servant was part of an intentional Christian community, known initially as the Highway Missionary Society, and later as the Servant Community. This Christian community shared in common the missionary vision that characterized Servant’s ministry. With their support and that of the booking and management team they were able to get the band off the ground, and to sustain it for all those years. After a decade of strenuous road life and many other hardships, they attempted to consolidate the community and its many teams. In the mid 80’s the band and much of the community relocated from Oregon to Cincinnati, Ohio. The move however did not work the magic that they had hoped, and families and friends weary from many transitions, soon began to leave. It became apparent that this season of their lives was over. For several more years the band continued without the community. As they continued to look for more permanent members to keep Servant on the road, they were introduced to some musicians out of the Akron, Ohio area. It soon became obvious that the new members were much more eager to hit the road. The older members were road weary and had growing children. The end was in sight. They committed to doing one last concert together in Banff, Alberta, Canada, in 1990. This is where they would say our final goodbye to Servant, beginning and ending in Canada. Today, Sandie is a massage therapist and has her own practice; Equilibrium3; Owen is a graphic designer and stays connected to the music industry through CD packaging design with Visual Fluency. Active in the emerging church, we are part of a spiritual community that connects as a network of house churches in an urban neighborhood of Cincinnati, Vineyard Central. Matt Spransy and his wife Siv, reside in the Madison Wisconsin area and are involved in music and mentoring youth. David Holmes is married and lives a quiet life in Victoria where the band started. Bob Hardy and his wife Michele live in Southern California and are involved in ministry there. Rob Martens and his wife Lori live on Vancouver Island just north of Victoria, John and Susie Jenkinson who are marriage and family counselors live in the lower mainland of British Columbia. Gary Summerbell lives in Edmonton, Alberta with his wife Florence. Eric Odell and his wife Teresa reside in Cranston Rhode Island where Eric works in marketing for a technology company. Bruce Wright, sadly died of cancer in Victoria in 1993. If you never saw Bruce do his Holy Roller Blues routine, you missed a seminal moment. Truly the lose of a great pioneer. In 2006, a limited amount of the first four recordings were released on CD. 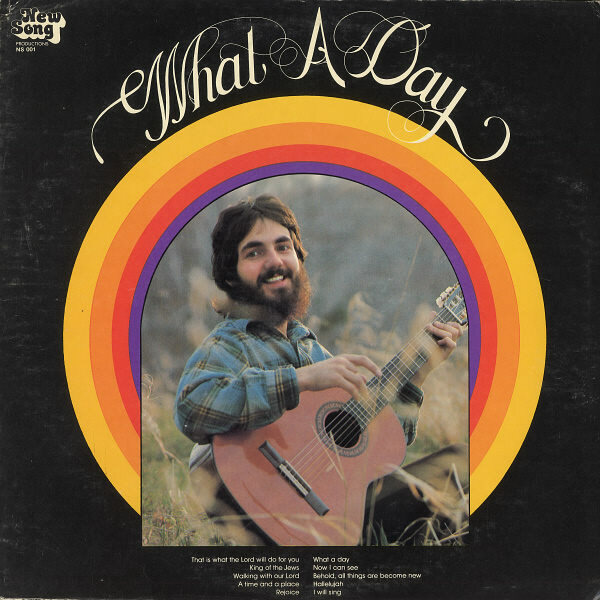 Born into a Methodist family with a musical background in Oklahoma City in 1954, John Michael started learning to play the guitar as a young boy. By age 15 he dropped out of school and was performing as a guitarist for Mason Proffit, a country folk-rock band formed with his older brother Terry. “I asked God what I was supposed to do,” he explains, “and God said, ‘Play your music and I will open and shut the doors’.” Staying true to that calling, Talbot started to use his musical talents to express his faith by joining the newly emerging Christian music scene. 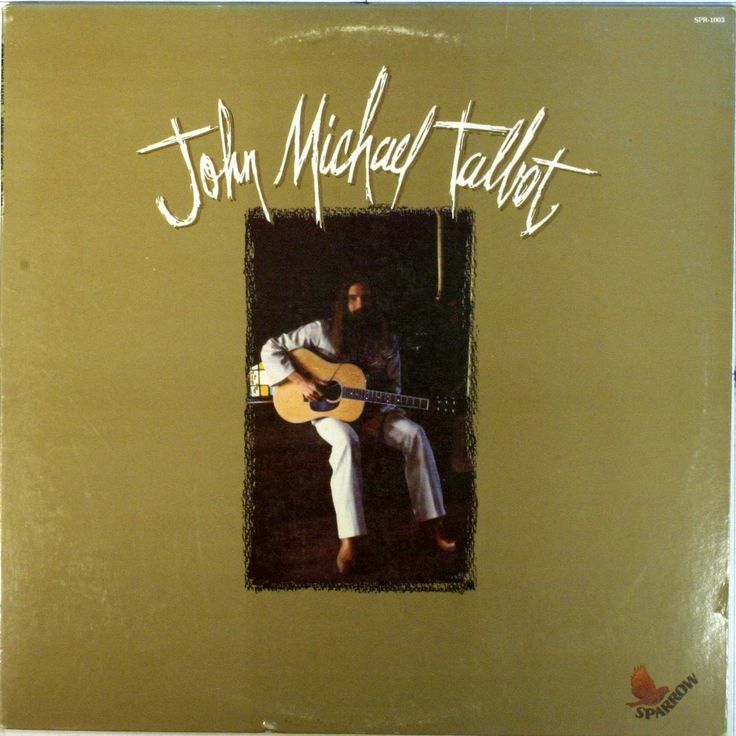 As a founding artist for Sparrow records he delivered two albums, “John Michael Talbot” and “The New Earth” (both produced by Billy Ray Hearn). Talbot moved The Little Portion to Eureka Springs Arkansas on land he had purchased during his Mason Proffit days. There he founded his own community, the Brothers and Sisters of Charity, at Little Portion Hermitage as an “integrated monastic community” with celibate brothers and sisters, singles, and families. By 1989, Talbot had married Viola Pratka (with the permission of the Catholic Church). After a successful career with Sparrow, John Michael founded his own label in 1992 called “Troubadour for the Lord”. Today he is recognized as Catholic music’s most popular artist with over 4 million sales and compositions published in hymnals throughout the world. His newest album, “Worship and Bow Down” is the 53rd album in his 37 years in Christian music ministry. Eddie DeGarmo and Dana Key grew up in Memphis, Tenn. They officially remember meeting in the 1st grade. Eddie and Dana grew up together in the same neighborhood. Throughout their childhood they pursued an interest in music. Eddie recalls walking into the music store with his father and while he was more interested in taking home a set of drums, his dad instead purchased an organ. During high school, Eddie and Dana formed a band called “Globe” and were officially signed to a major label recording deal. 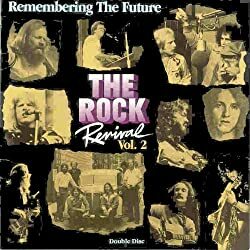 Beginning in 1978 with their debut album “This Time Thru” and ending in 1982 with the double lp album “No Turning Back, Live,” DeGarmo & Key recorded their first 4 albums under Lamb & Lion. After parting with Lamb & Lion records, DeGarmo & Key moved to PowerDiscs, a label under Benson records. With the move from the Lamb & Lion label to PowerDiscs also came a slight change of name and a very noticeable change of music style. 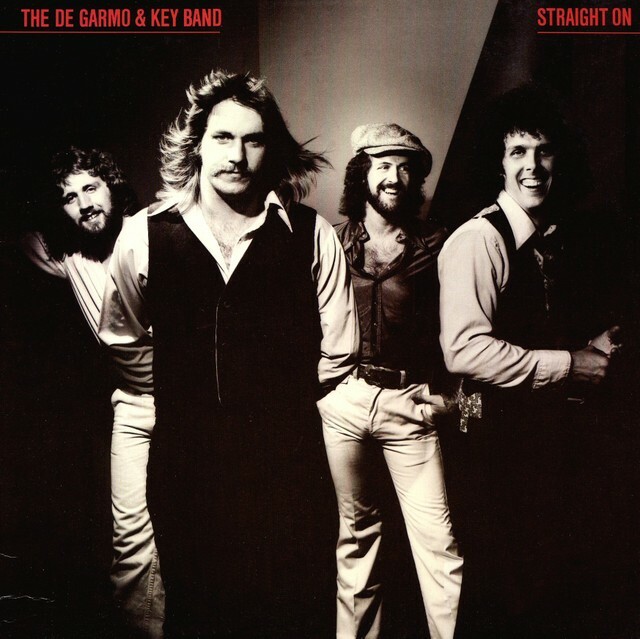 Formerly known as “The DeGarmo & Key Band” on the Lamb & Lion albums, now they were simply known as DeGarmo & Key (for the rest of their career). The band’s musical style however was a big change. DeGarmo & Key went from a straight forward rock ‘n roll sound to more of a (at the time) radio-friendly pop sound, debuting the new sound on their 5th album “Mission of Mercy.” The new pop-rock sound continued with 1984’s “Communication” and 1985’s “Commander Sozo and the Charge of the Light Brigade” albums. DeGarmo & Key produced a music video for songs from their 1984 and 1985 albums. From “Communication” came a music video for their song “Six, Six, Six.” This music video was the first Christian music video to be played on MTV, however, controversy followed the video. MTV originally refused to air the video due to a scene where the Anti-Christ is engulfed in flames. In response to MTV’s refusal to air the video, DeGarmo & Key had that scene re-done to show the Anti-Christ holding a prophetical orb/crystal ball showing “future events.” MTV agreed to play the new version of the music video. Returning to their more straightforward rock ‘n roll roots, DeGarmo & Key released “Streetlight” in 1986. “Streetlight” was accepted wholeheartedly by all fans and many consider it to be one of the band’s best albums. According to Stan Coats (the band’s longtime road manager), “Streetlight” was originally mixed to have a much heavier guitar emphasis, but the record label feared a heavier sound would no be well accepted by radio stations, so the album was toned down. “Streetlight” also introduced the band’s new way of recording their albums, by recording all together live in the studio instead of recording each instrument separately, therefore giving fans that “live stage” sound that many fans preferred over the “studio” sound on DeGarmo & Key’s albums. In 1987, Steve Taylor (guitar, background vocals) joined the band and they released the album “D&K.” By far the hardest album released by D&K, but also the most memorable. “D&K,” when purchased on cassette, was packaged with a 2nd cassette tape of the entire album, completely free, to give to an unsaved friend. The only difference between the cassettes is that the free one had reduced intro’s and solos on the songs “Rock Solid” and “Strength of Love.” The songs on “D&K” deal with many social/spiritual issues such as: teenage suicide (Teenage Suicide), judgment among brethren (Brother Against Brother), standing for truth (Stand), and marital problems (Strength of Love). The insert for the album also contained Bible verses to show the Biblical meaning for each song. During a 1989 interview with then CCM magazine editor, John W. Styll, DeGarmo & Key announced they had placed more emphasis (than on previous albums) in their 1989 album “The Pledge” and planned to place more emphasis (than before) in their ministry towards motivating young Christians and those in church to witness to people and win them to Christ, as well as motivating them to take a stand in situations that affect the public. With 14 original albums, 2 compilations, 1 greatest hits, and 2 solo albums each, and 5 home videos, DeGarmo & Key has left behind a legacy that has yet to be matched and will always be remembered by generations of fans past, present, and to come. Dana Key pastored “The Love of Christ Community Church” in Cordova, TN. On Sunday, June 6, 2010 at age 56, Dana Key passed away due to a blood clot. Eddie DeGarmo continues to serve as the president of EMI Christian Music Publishing. Resurrection Band, also known as Rez Band or REZ, was a Christian rock band formed in 1972. They were based out of the Jesus People USA Christian community in Chicago, Illinois, and most of its members continue to be part of that community to this day. 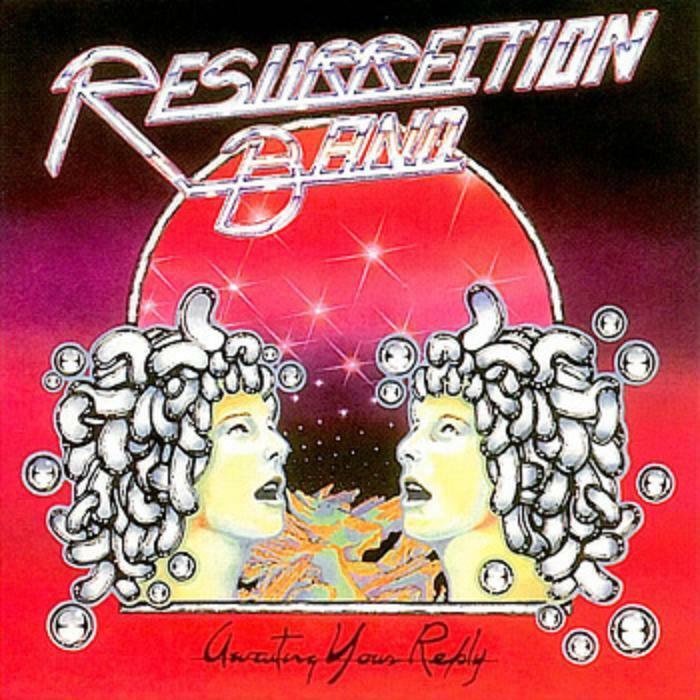 Known for their blend of blues-rock and hard rock, Resurrection Band is credited as one of the forerunners of the Christian metal genre, releasing their debut in 1978. The band’s greatest popularity was during the early 1980s, but later in the decade, they received some crossover success when they had two music videos featured on MTV. The band originally played together under the name “Charity” in 1972 with Jesus People Milwaukee, based out of Milwaukee. When the community split into four groups, and one became the “Jesus People USA Travelling Team” before their relocation to Chicago, the name “Resurrection Band” was chosen and the band became a primary focus of the community’s ministry. After arriving in Chicago, the band recorded two independent cassettes that were given away after their concerts, which were performed anywhere Resurrection Band was allowed to play, from schools to prisons to street corners. The first cassette, Music to Raise the Dead, featured hard rock, while All Your Life comprised only their acoustic numbers, which was a reflection of the folk-oriented sets they would play at more conservative venues such as nursing homes and churches, the latter of which were deeply skeptical of Christian rock, especially the borderline heavy metal that Resurrection Band specialized in. Four years later, thanks to a $8,000 gift from a friend, Resurrection Band recorded their first album, Awaiting Your Reply, over a two-week period in marathon all-night sessions. Although the band had completed the album, including the cover art, no Christian record label would risk releasing it, as the Led Zeppelin/Jefferson Airplane inspired music was considered much too controversial for the Christian market at that time. Although Star Song Records was warned away from the project by other gospel music executives, the tiny label had nothing to lose, so they signed the band and released the record as it was. To everyone’s surprise, Awaiting Your Reply hit big in the Christian market, and reached #6 on the Gospel album sales charts. 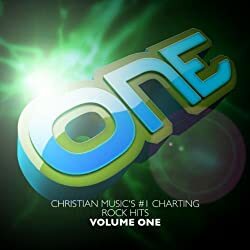 Although misunderstood by many critics at the time, the album has been reevaluated and highly praised in recent years, and is now listed at #91 in the book, CCM Presents: The 100 Greatest Albums in Christian Music, released in 2001. Resurrection Band would eventually become known for grappling with a variety of social and political ills in its music, from the evils of the military-industrial complex to the corrupting influence of American materialism to racism, homelessness, AIDS, drug addiction, prostitution and many other issues that the band personally confronted in their ministry to their surrounding urban community in Chicago. Once signed by Light Records, Resurrection Band shed its progressive rock leanings and went for a more radio-friendly hard rock/metal sound. Both Colours, released in 1980, and Mommy Don’t Love Daddy Anymore, released in 1981, were solid collections of music that alternately addressed larger social issues such as poverty and divorce as well as personal spiritual issues of salvation and discipleship, along with the intersection between the two. While the mainstream Christian press was still adapting to the idea of Christian hard rock, alternative Christian music newspapers highly praised both albums, and their leading publication, Harvest Rock Syndicate, awarded both five stars. In addition, Resurrection Band began receiving greater airplay on radio stations that played Christian rock, and combined with their reputation as a powerful live act and effective evangelistic ministry (thanks to the fiery sermons preached at the end of Resurrection Band concerts by Glenn Kaiser), the band gained a positive reputation among church youth leaders as well as an enthusiastic and devoted fanbase. In spite of the increased attention, Resurrection Band funneled any and all profits back into the Jesus People USA community, as members held all monies in common according to the example set by the New Testament church. The band would go on to record 15 more albums. After their 1995 Lament tour Resurrection Band called it quits at the end of the tour; however, it would play an annual live set at the Cornerstone Festival, which had become one of the Christian music industry’s preeminent events. Then, in 1997, the band returned to the studio for one last recording. The MTV Unplugged craze was at its highest pitch, and Resurrection Band felt it was an appropriate time to reinvent some of its hard rock material in an acoustic format. The result was Ampendectomy, featuring 15 selections pulled from the band’s history. The reviews of the album were mixed. It started in 1982 in Orange County, California when brothers Robert and Michael Sweet formed a rock band called Roxx Regieme. Guitarist Oz Fox came on board in ’83. The same year Kenny Metcalf witnessed to the band and, feeling that God had called them to play music for Him, the band changed their name to Stryper (Salvation Through Redemption Yielding Peace, Encouragement and Righteousness). Bassist Tim Gaines was added to the line-up and the band signed with Enigma. Their first album, an EP called Yellow and Black Attack, released in July of 1984 but it wasn’t until the summer of 1985, when their first full-length album, Soldier Under Command, hit the streets that Stryper became a household name in the world of metal. 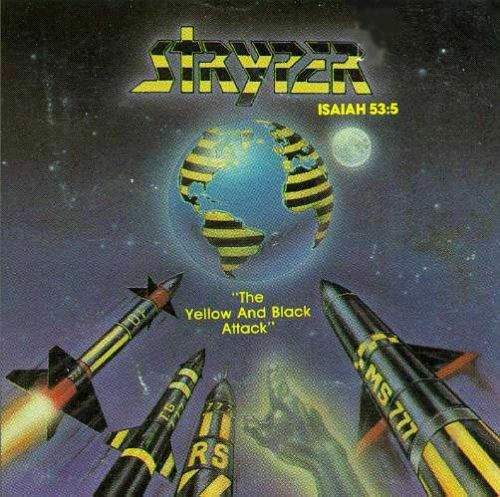 Through the next few years, though they had a change in labels and they faced a great deal of criticism from some Christians for being too worldly and from some non-Christians for being too Christian, Stryper continued to make hit records. In January of 1992, Michael Sweet left Stryper to pursue a solo career. After a year of continuing on as a three piece, Robert Sweet, Oz Fox and Tim Gaines went their separate ways musically. Tim Gaines and Robert Sweet joined Christian guitar player Rex Carrol in the band King James for one album. Oz Fox stayed out of the limelight for about three years, only making occasional guest appearances with bands like JC & The Boyz, Bride, and Ransom. In 2000, Stryper came together on stage again for their first full set in nine years in Costa Rica. 2001 saw the band playing a handful of events, but they weren’t back together full time by any stretch. Two years later, in 2003, Hollywood Records approached Michael Sweet about releasing a “Best of” album. In only a matter of weeks, the band was back in the studio, adding two new songs to the release. Things went well and the old passions were ignited and that fall Stryper embarked on a 35 city “20 Year Reunion” tour and released a live CD titled 7 Weeks: Live In America as well as a DVD. Stryper has sold more than 8 million records worldwide in their history. They were the first Christian band with certified double-platinum sales. The group’s RIAA-certified platinum 1986 release To Hell with the Devil was selected as one of the “100 Greatest Albums in Christian Music” by CCM Magazine. Two other albums were certified RIAA gold: Soldiers Under Command (1985) and In God We Trust (1988), with both releases spending several weeks on the Billboard 200 album chart. As the first Christian rock band to enjoy any real success in the mainstream market, Stryper was regularly seen on MTV and VH1. They also received coverage in Rolling Stone, Time, Spin and Newsweek and About.com. Not bad for a garage band from Orange County! Their Sparrow debut Mansion Builder (1978) was followed with The Roar of Love (a concept album inspired by C. S. Lewis’ The Lion, the Witch, and the Wardrobe), Rejoice, Singer Sower and Together Live (with Michael and Stormie Omartian). 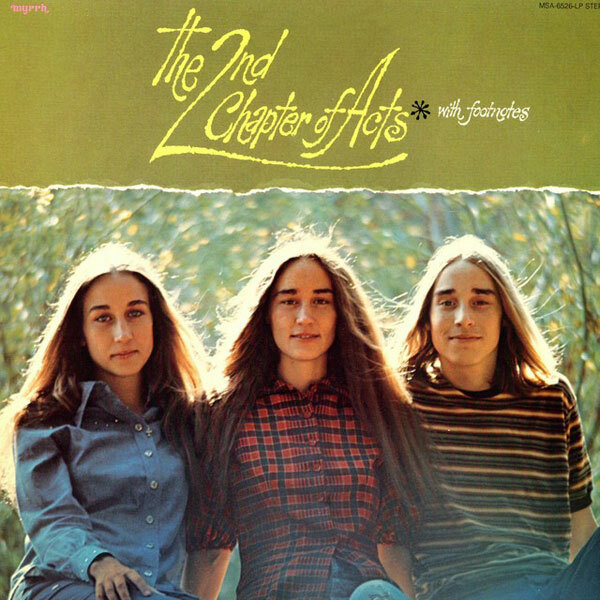 2nd Chapter moved to their own Live Oak label with the release of Night Light in 1985 and broadened their appeal with the release of Hymns and Hymns 2, reaching audiences with more traditional music. Hymns proved to be their best-selling release and landed them a Dove Award followed by Hymns II and Hymns Instrumental. Their final recording of original material Faraway Places was released in 1988. 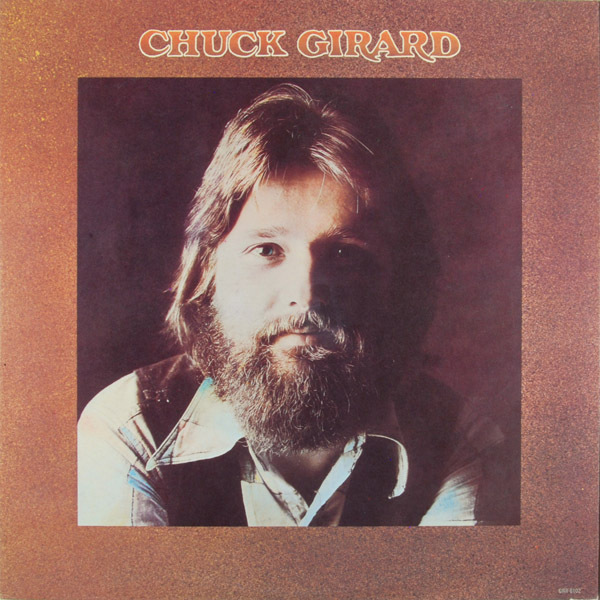 Chuck has released many albums, toured the US, Europe, and Australia several times both solo and with the Chuck Girard Band. He has toured in Indonesia, Africa, Mexico, Canada, and most recently, the Middle East. In 1981 at the peak of his solo career, Chuck left the spotlight of the concert scene and focused his attention on the new direction that God had birthed…a return to the simplicity of worship and the church. In this capacity, Chuck to this day ministers through music, worship, and teaching in the United States and around the world. Chuck has appeared with Billy Graham, and on “700 Club”, “100 Huntley Street”, “Trinity Broadcasting Network”, and various television shows throughout the world. John 9:25 “…I was blind but now I see”. This is where it all started for Chuck. Born in Oklahoma City during 1935, McGuire had relocated to New York City and joined up with folk revivalists the New Christy Minstrels by the early ’60s. He was anointed the band’s lead singer and appeared on several albums and their first hit single, “Green, Green” (which was co-penned by McGuire). Soon after, however, McGuire caught the attention of both record producer Lou Adler and singer/songwriter P.F. Sloan, resulting in the guitarist/singer leaving the New Christy Minstrels and launching a solo career, signing on with Adler’s Dunhill Records. 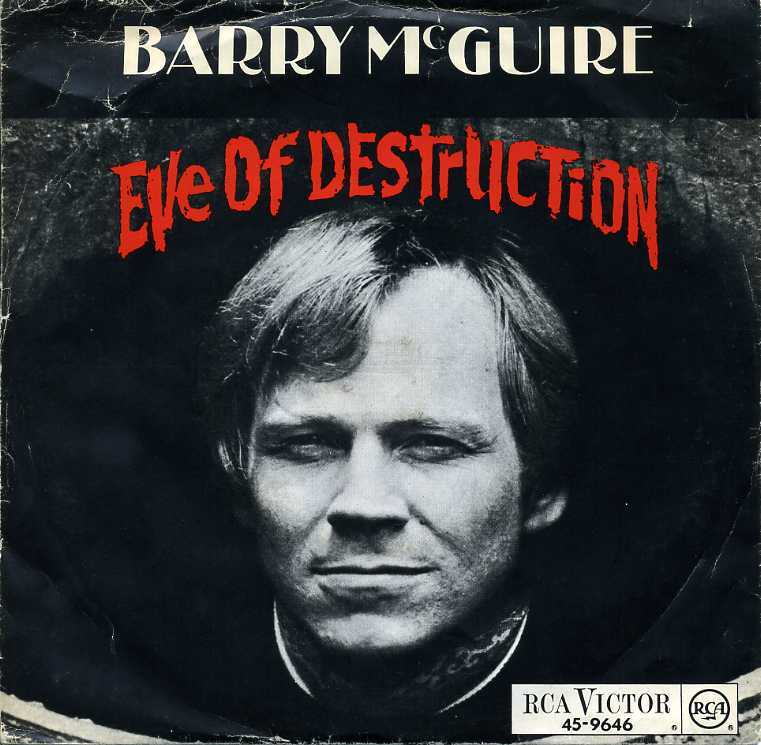 McGuire’s solo debut, The Barry McGuire Album, was released in 1963, but it wasn’t until two years later that McGuire scored a massive hit with the Sloan-penned track “Eve of Destruction,” which topped the U.S. charts (peaking at number three in the U.K.) and was taken from his sophomore full-length, Barry McGuire Featuring Eve of Destruction. 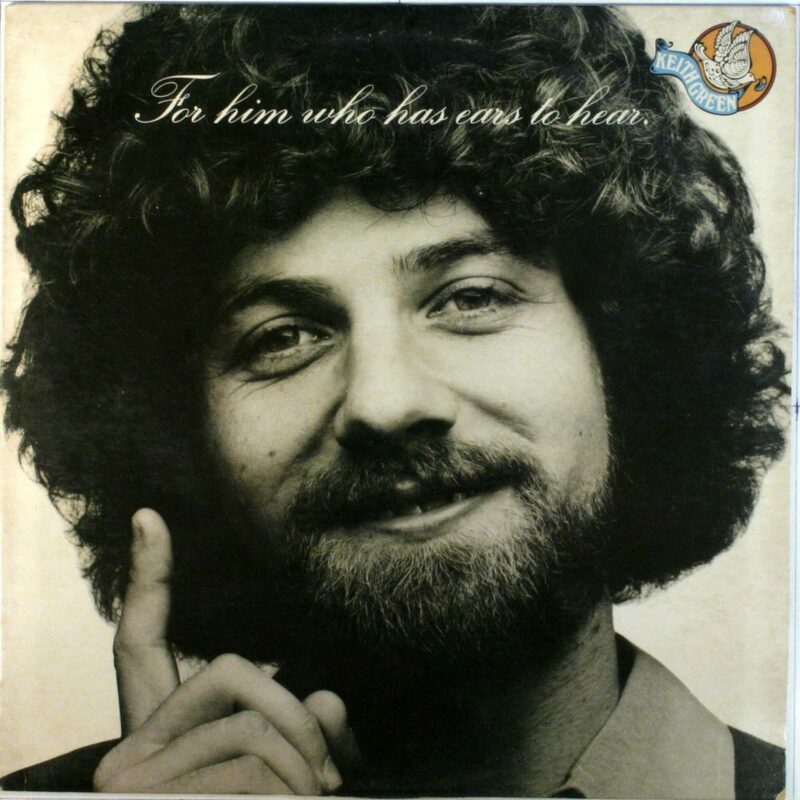 By the early ’70s, McGuire had turned his back on folk music and he re-appeared as a Christian/gospel artist, signing on with the Myrrh label and issuing such standout albums as 1973’s Seeds, 1975’s Lighten Up, and a live recording, 1982’s To the Bride, among countless others. McGuire put his music career on hold and moved to New Zealand in the mid-’80s with his wife, where they remained until 1990, working with the poverty organization World Vision. Upon his return, McGuire began issuing albums once more, including such titles as El Dorado, Let’s Tend God’s Earth, Adventures on Son Mountain, and Journey to Bible Times, before teaming up with another gospel singer/guitarist, Terry Talbot, to form an outfit called Talbot McGuire. Petra is a music group regarded as a pioneer of the Christian rock and contemporary Christian music genres. The beginning: Ft. Wayne, Indiana, 1972. Four men with desire to share the gospel. They share a call that changed their lives. They were called to use rock music to beat the system. They wanted to share Christ with students in terms they would understand. the result: PETRA. “Petra” means bedrock. And it is the bedrock of America from which they came and it is on the bedrock of Jesus Christ that PETRA was built and on which it stands today. For the first two years of their existence, Petra played mainly in the Midwest, appearing at coffee houses, high school assemblies, church basements, colleges, and even in city parks. After each concert the band shared the Gospel with those who came to hear the music. In 1973, Petra signed a recording contract with Myrrh. In 1974, the debut album appeared, recorded for a mere $900 in two weeks. Self titled, Petra was not a pacesetting album in terms of sales, although it was on the cutting edge musically for what was called “Jesus Music,” featuring hot double guitar leads and powder-keg drumming. In spite of slow sales, the band was generating a reputation for rousing live performances. It was on Petra’s second album, Come And Join Us, that Bob Hartman invited Greg X. Volz to be a guest vocalist. Doing leads on two songs and backups on the others witnessed the beginning of a long-term relationship between Hartman and Volz. When it was released, Come And Join Us was also a slow seller so they were released from their contract with Myrrh. The band pressed on. Live performances were the only source of income and ministry, and they continued honing their craft all over the country. 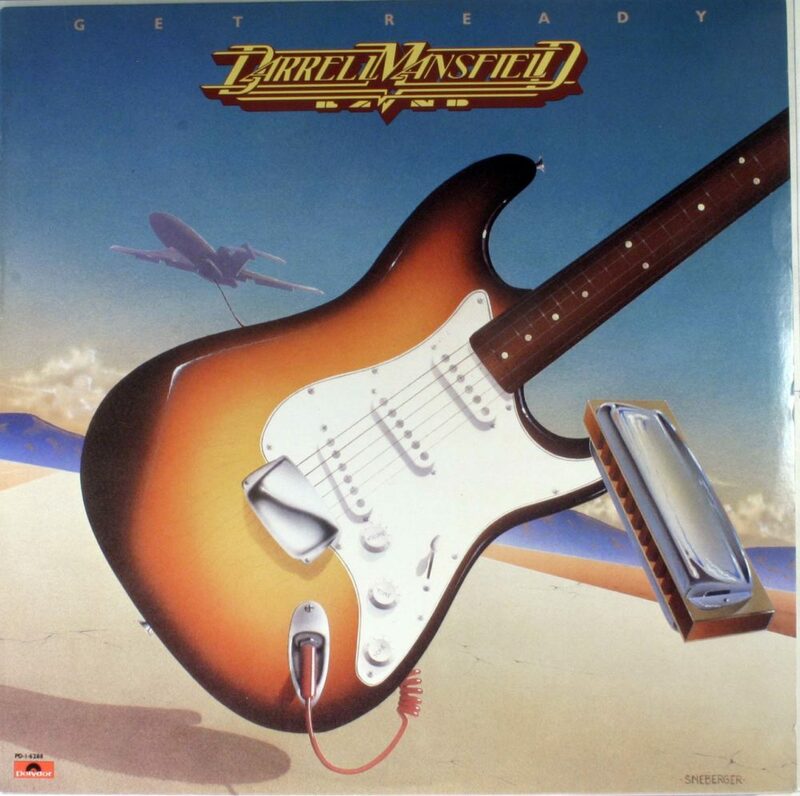 During this time such classics as “God Gave Rock and Roll To You”, “Disciple”, and “Killing My Old Man” were performed, only to be committed properly to vinyl years later. “Backsliding Blues” always brought the house down, a 45 minute version complete with 10 minute guitar, bass and drum solos. Most churches and Christian radio stations found Petra’s music much too intense musically and lyrically, hence acceptance came only from the more “radical” members of the Christian community. 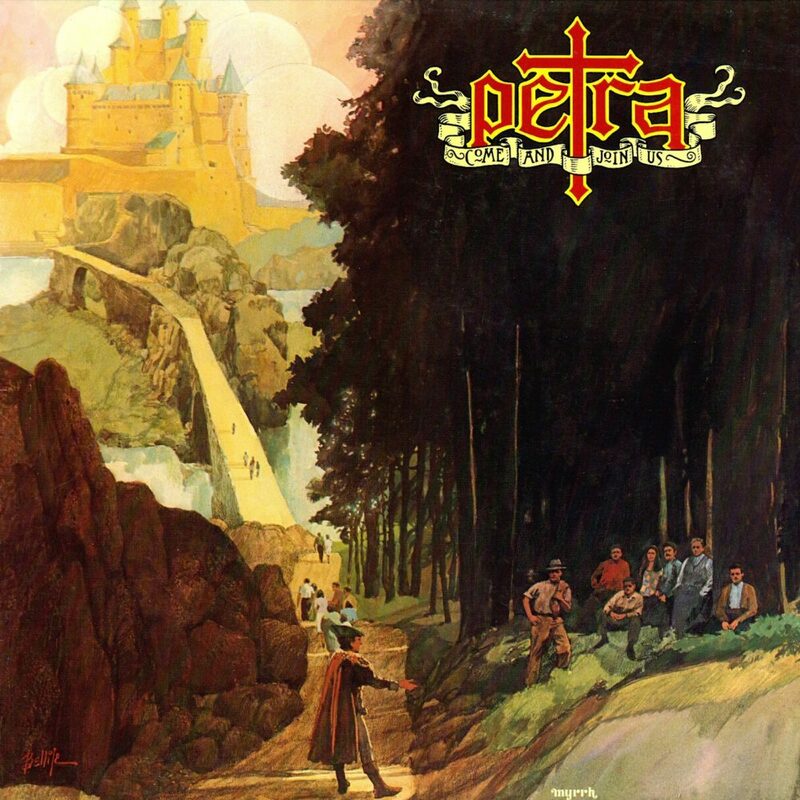 With a style initially similar to The Eagles and Lynyrd Skynyrd, Petra’s sound evolved into a more energetic, driving rock sound in the early 1980’s akin to Foreigner, Styx and Journey. 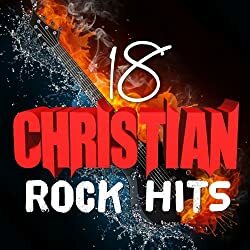 Throughout the 1980’s and into the early 1990’s, Petra was undoubtedly the world’s most popular Christian rock band, with each of its albums during that period selling hundreds of thousands of copies while the band sold out arenas and regularly placed songs at the top of Christian radio charts. With its lyrics, music and style, Petra influenced numerous other artists at a time when Christian rock experienced strong opposition from many conservative pastors and churches. In more than three decades, the band experienced numerous lineup changes yet released 20 studio albums, as well as three Spanish-language and two live albums, selling nearly 10 million copies while being nominated for 13 Grammy Awards, winning four, and winning 10 Dove Awards. Its biggest hit, “The Coloring Song”, reached the top position on three Christian radio charts simultaneously, and at its peak, the band’s tours rivaled Amy Grant’s in popularity among Christian audiences. Petra was the first rock band inducted into the Gospel Music Hall of Fame and the first Christian band whose memorabilia was included in the Hard Rock Cafe restaurant chain. The band announced its retirement in 2005, launching a farewell tour that was recorded for release on CD and DVD. Petra’s 33-year career ended with a performance in the early hours of January 1, 2006. Band members subsequently reunited for concerts in 2007 and 2010. In November 2010, a resurrected form of the band’s mid-1980s lineup, using the name Classic Petra, released a CD titled Back to the Rock featuring new material and re-recordings of hits from that era. The band released a companion live CD and DVD in 2011. 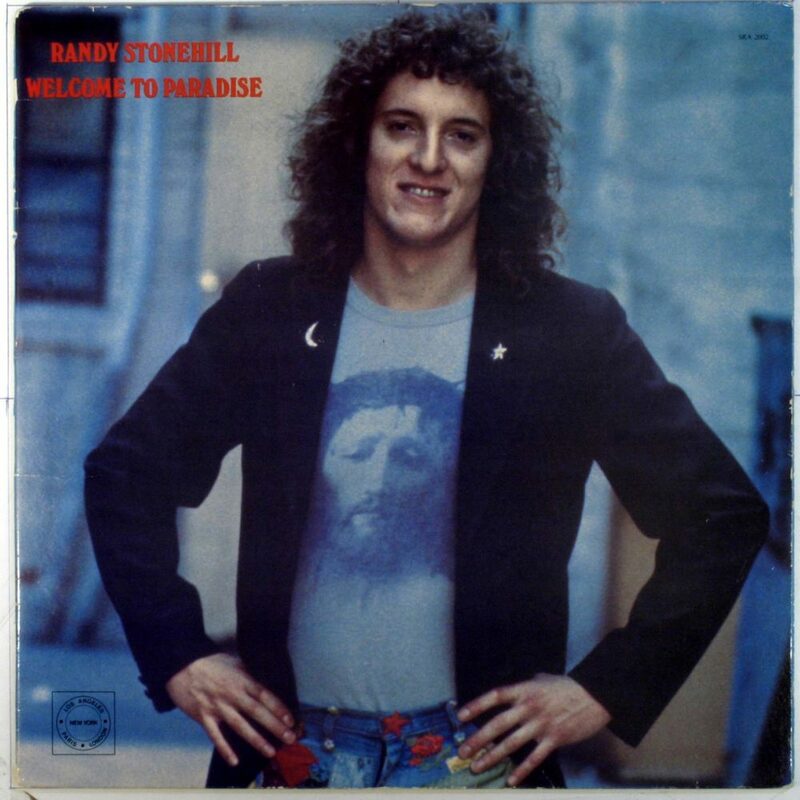 An American singer/songwriter from Stockton California, Randy Stonehill is known as one of the “fathers of contemporary Christian music.” His career has been compared with such mainstream secular artists as James Taylor and Paul McCartney. 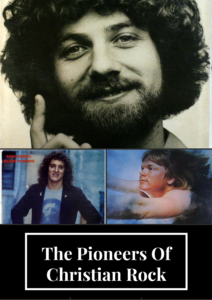 Along with Keith Green and Larry Norman, Randy shaped the ‘Jesus Music’ from that area. Acoustically driven, with personal lyrics centered in a lively faith are his hallmark. Randy began playing guitar at the age of ten. He was successful in area talent competitions and put together his first band at the age of 15. By 1969 the 16-year-old Stonehill was interested in pursuing a career in music. Melding his honest lyrics of faith, struggle and hope with rootsy folk-rock music, in 1970 Randy took tutelage under his friend and fellow Jesus Rocker Larry Norman. Considered too “Christian” for the mainstream and too “Rock and Roll” for the church, Randy has blazed trails that are now easily traveled by Christian musicians, influencing countless young fans and future artists along the way. The first decade of his career saw him release a string of records with Norman ’s help, including the groundbreaking and massively influential Welcome To Paradise album of 1976. Randy’s deft touch with a lyric, his unique and engaging voice and his endearing wit and spirit made him an early and long-time favorite of thousands. In the 80’s Randy developed further as one of the premier artists in the emerging “contemporary Christian music” subculture via a long-term relationship with Myrrh Records and a string of critically acclaimed and commercially successful albums, including Equator, Celebrate This Heartbeat, Love Beyond Reason, and Return To Paradise. Rock fans loved his commitment to guitars, hooks and classic sounds, and his lovingly subversive humor. Christian radio embraced his ballads and pop ditties for their spiritual meat and their irresistible tunefulness. Live audiences packed into churches, schools and theaters where the songsmith would leave them laughing, thinking and humming all at once, night after night. Compared favorably to veteran rock and pop artists like Bruce Springsteen, James Taylor, Paul McCartney and Elton John, Stonehill seemed to get better with age. The nineties saw Randy Stonehill stay his course as a thoughtful, organic singer-songwriter despite massive changes in the industry he had inadvertently helped to birth. Continued incessant live performances and a string of the most acclaimed records of his career dominated the third decade of the southern California native. With his 1991, Terry Taylor produced masterpiece Wonderama, and his 1998 Rick Elias-produced classic Thirst, Stonehill grew elegantly into one of the true statesmen of contemporary Christian music. Keith was born in New York near Brooklyn. His mom had been a singer with the Big Bands, his dad a schoolteacher. Before he was two his mom said Keith had perfect pitch as he sang his baby songs. A year later his family moved to CA and settled into the newly developed orchards of the San Fernando Valley, just a short drive to Hollywood, which would play a significant role in Keith’s future. Keith’s parents made sure he learned how to play guitar and piano at a young age. He liked piano best, but got bored playing the long classical pieces. So instead of learning to read sheet music, he’d memorize each piece, then pretend to be sight reading when his teacher was there. But his grandfather, who started Jaguar Records, the first rock and roll label, taught Keith how to play chords on the piano… and was he end of classical music for him. From that moment on Keith began writing and singing his own songs. He was only 6 years old at the time. Keith was 15 the first time he ran away from home. He started a journal that very day and for years as he looked for musical adventure and spiritual truth, the wrote his journey down. Keith had a Jewish background, but he grew up reading the New Testament. He called it “a confusing combination” that left him deeply unsatisfied. His journey led him to drugs, eastern mysticism, and free love. When Keith was 19 he met a fellow seeker/musician named Melody. They were inseparable and got married a year later — now he had a partner as his spiritual quest continued. Then when he had nearly given up hope, Keith found the truth he had been looking for. He now was 21 and never looked back. Not only did Keith’s life take a radical turn, but by then he was a highly skilled musician and songwriter, and so all of his songs changed too. His quest for stardom had ended. And now his songs reflected the absolute thrill of finding Jesus and seeing his own life radically changed. Keith’s spiritual intensity not only took him beyond most people’s comfort zones, but it constantly drove him even beyond his own places of content. Keith’s songs were often birthed during his own spiritual struggles. When he pointed his finger at hypocrisy, he knew he had four fingers pointing back at himself. He penned honest and vulnerable lyrics—but left room for God to convict the rest of us too. He knew the journey to heaven often twists through rocky valleys, and saw no value in portraying his journey as otherwise. Keith’s views on many subjects were often controversial -– especially when it came to charging for his ministry. With his albums at the top of industry charts. Keith decided to give his albums away for whatever people could afford, even for free. Keith’s heart was to make sure those who could not afford to buy his music could get it. Since Keith and Melody felt their songs were musical ministry messages and they did not want anyone left out due to lack of funds. At last count at least 15 years ago over 200,000 albums were sent into prisions and to the poor, without charge. The same issue arose with Keith’s concerts, which he felt were nights of ministry. After a few years of trying different ways of funding his concerts there was just one idea that gave him peace. He decided his concerts would be free so anyone who wanted could come. The ministry would rent a hall or stadium and Keith took one offering for LDM to help cover the expenses. He and Melody did not receive any of the offerings because they were able to support themselves with their music royalties. Doing free concerts along with Keith’s new album policy were moves that sent shockwaves through the Christian music industry, causing, some record labels, bookstores, or other artists to question his motives. Some thought he wanted to undercut the system and make others look bad. But that wasn’t his heart at all and in the end it was understood he was just following his convictions. The Lord had taken Keith from concerts of 20 or less — to stadiums of 12,000 people. At his concerts Keith always gave an altar call and led thousands upon thousands to the Lord, and just as many firmly recommitted their lives fully to serve the Lord. On July 28, 1982, there was a small plane crash and Keith went home to be with Jesus. The crash also took the life of his three-year-old son Josiah, and his two year old daughter, Bethany. Melody was home with their one year old, Rebekah, and was also six weeks pregnant with their fourth child, Rachel. Keith was only 28 years old. Although Keith is now with Jesus, his life and ministry is still making a huge impact around the world. His songs and passionate delivery are still changing lives. His writings are translated into many languages. Keith once said, “When I die I just want to be remembered as a Christian.” It’s safe to say he reached his goal, and perhaps, a bit more. Today Melody still oversees LDM where her voice can be heard on numerous relevant topics from a biblical perspective. Loving to expose people to what she believes is important, she continues to bring LDM readers the teachings of others who she believes have something vital to say. Believing that caring for others is not optional, Melody established the Good Neighbor Mercy Fund, enabling LDM to raise donations for disaster victims, the sick, and the needy. LDM has already given to victims of the Asian Tsunami and Hurricane Katrina as well as others with pressing needs. Norman was an eccentric visionary whose songs drew controversy from both the conservative religious establishment and the secular music press for his lyrical mix of radical religious, political, and social themes. His 1969 solo album Upon This Rock was the first Christian rock record, and his milestone 1972 release Only Visiting This Planet is considered one of the best albums in the genre. His music was an influence on such diverse artists as U2, John Mellencamp, and the Pixies. “Larry was my door into the music business and he was the most Christlike person I ever met,” former Pixies singer Frank Black said. Norman was born on April 8, 1947 in Corpus Christi, Texas. At the age of 3 he relocated to San Francisco, California with his family and in the mid-’50s became fascinated with the music of Elvis Presley. During this time he also frequently accompanied his father on Christian missions to prisons and hospitals. At the age of nine, Larry began writing and performing original rock and roll songs at school, experimenting and incorporating a spiritual message into his music. In 1959 he performed on Ted Mack’s syndicated television show The Original Amateur Hour on CBS. Upon moving to San Jose, California, he began recording for Capitol Records with his band People! in 1966 and for the next 2 years performed concerts supporting The Doors, The Who, Janis Joplin, and Jimi Hendrix, among others. People! scored a Billboard Chart hit in 1968 with a cover of The Zombies’ song “I Love You.” Norman left the band the day People!’s debut album was released. His solo albums recorded in the 1970s on his own independent label Solid Rock, and the albums of other artists he discovered and produced, laid the foundation for what would eventually become the Christian rock music industry, a genre which largely shunned him and his music. According to Portland news/radio station KXL, Norman’s early social positions caused a stir among many conservative Christians. His views against racism and poverty caused him to receive multiple death threats in the 1970s. Time Magazine once called Norman “the most significant artist in his field.” Over 300 cover versions of his songs have been recorded by artists such as Petula Clark, Sammy Davis, Jr., Frank Black, and Cliff Richard. His songs have also been recorded by contemporary Christian artists like DC Talk, Rebecca St. James, and Audio Adrenaline. He performed for The White House, twice – and in Moscow at the 80,000 seat Olympic Stadium. He headlined venues like The Hollywood Bowl, The Sydney Opera House, The Palladium and London’s prestigious Royal Albert Hall, which he sold out six times, once filling it twice on the same day. In the last 40 years Norman has released nearly 100 solo albums. In 2001 Norman was inducted into the Gospel Music Hall of Fame alongside Elvis Presley. At the time of his death he was working on an album with Frank Black and Isaac Brock of Modest Mouse. Larry Norman, the singer, songwriter, and producer known as the “father of Christian rock music,” died of heart failure on Sunday (Feb. 24) in his Salem, Oregon home. He was 60. Author’s Note: PLEASE READ BEFORE COMMENTING!!!!! This list, like all the lists I do, is not meant to be exhaustive. As it is, this article has almost 10,000 words. You have to stop sometime. I have had 100’s of people act as if they are offended that their favorite was not included. I know there will be somebody I forgot, or somebody you felt was more influential in the beginnings of Christian rock music. Please feel free to share those people in the comments below and why you feel they were influential. But please stop saying “Shame on you” or I can’t believe….” Make your posts positive not a response to an offense that was never given in the first place. I am sure that if you do that, your addition to this article will be a blessing to others. I was privileged to have met some of these people in my long hair days. 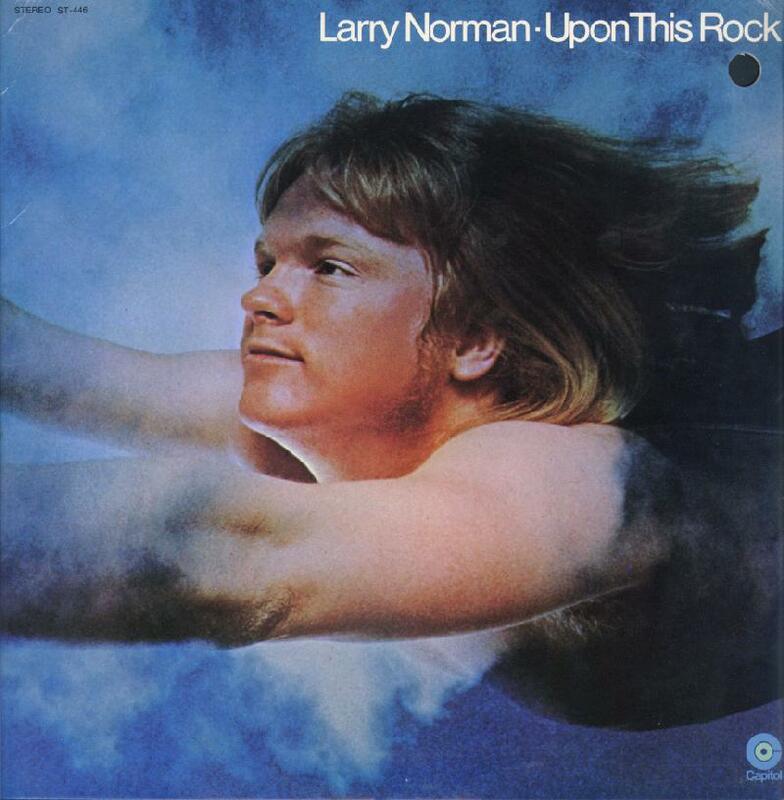 I spent an entire night until 3:00 AM with Larry Norman. I played with Darrell Mansfield once. I was part of a band that opened up for Servant. All of them had one thing in common. They loved Jesus. So it was my pleasure to share with you all of these great men and women who dedicated hours upon hours in spreading the gospel in ways that this drug addicted teenager in the lat 70’s could relate to and they helped change my life forever.